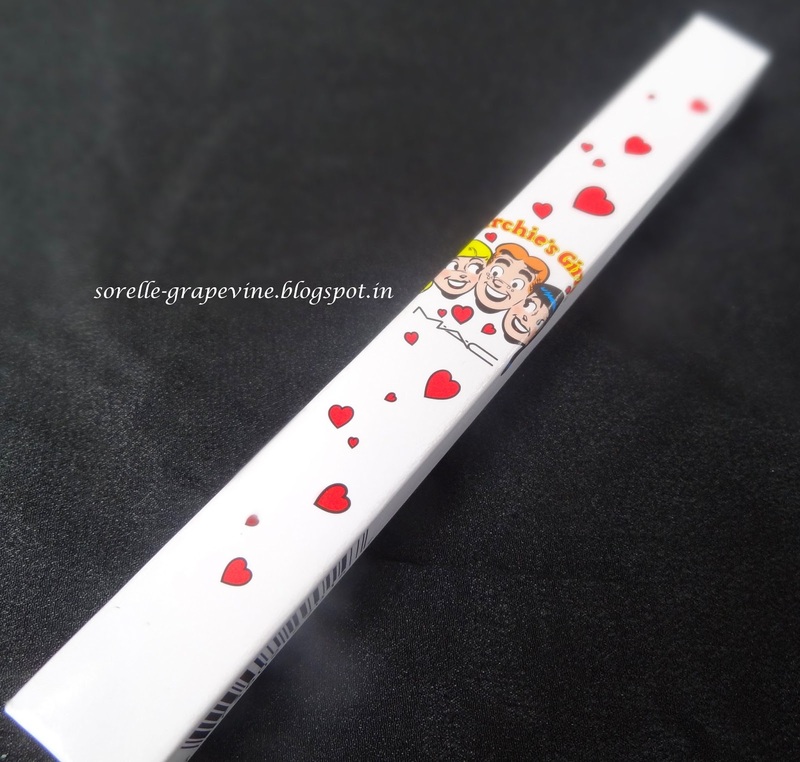 Presenting the eyeliners from the much awaited Archie’s Girls collection! 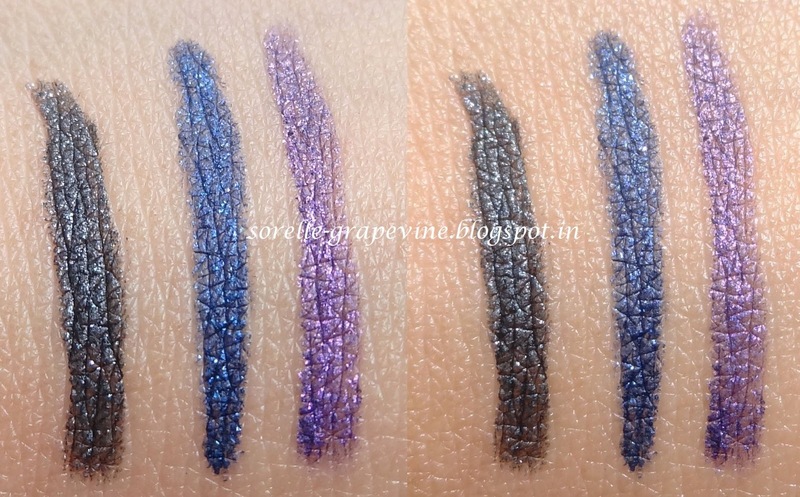 I picked up 3 out of the 4 – Petrol Blue, Designer Purple and Black Swan….Oh my! Oh my! Oh my!! These are exactly what is written on the package – Pearl and Glide. Sigh! This is what love feels like….. The texture will make you fall in love with it even if you are glitter/shimmer averse. It just sails over your skin and you will not be able to feel it AT ALL. Same for the lids…..you will pull the entire line in a stroke and not realize it. I’m not exaggerating …try it and see. I’m not iffy about glitter and for me these are perfect. Petrol Blue is rich royal blue color with blue shimmer in it. Designer Purple is bright purple shade with purple shimmer and Black Swan is a deep black with silver and some blue shimmer it. Right now I’m regretting not picking up the fourth in it which is a brown/copper kinda shade. BTW the purple one looks quite glittery on the eyes when you compare it with the others. The formulation for these is just so awesome! I wish MAC had this in their regular line sans the glitter. I’m sure it would be a big hit. I love how they feel like silk on your skin while applying. And the staying power is quite good. Give it a minute to set and then it does not budge at all even if you rub it hard. The glitter of the purple one moves negligibly but the other two stay put. I had swatches of them on my hand and even after 9 hours of wash and wear I could still see lines of the product. 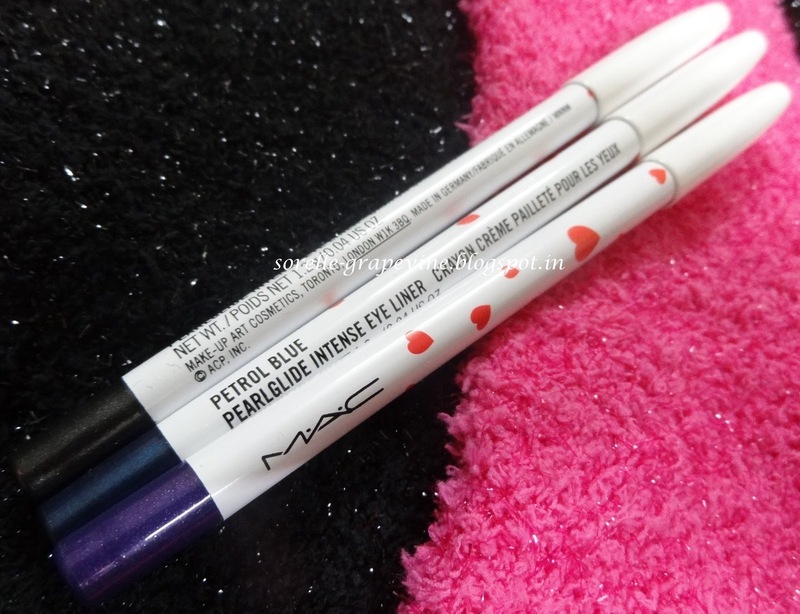 You can pair two colors like say the black and blue or the purple and black to create an instant party smokey eye look. You create a look in under a minute. If you want it to be a little smudged then I suggest you do that step as soon as you put it on otherwise later on you wont be able to. Atleast just swatch it when you come across this if nothing else. I’m sure you will be captured by it. I paid 15 pounds each (approx Rs. 1241/-) for 1.2 gms of product. Now coming to something that I didn’t like at all….the problem comes in when you try to remove it. The glitter just spreads all over your face and is such a pain to get off. I used an oil based remover (Clarins one) and when I rub it off the glitter just travels all over and does not go away completely even after rubbing a few times. Ugh! I had to rub it with the remover a few times each time using a new piece of cotton and then with my makeup wipe and still I could see some on my face…..ARRGGHH! That was a wrap for the first post from this collection. If you liked it then please be on the look out for the others. I will group the lipglosses into one and the lipstick into another. The reason for this is that since they have the same qualities but only differ in color it made sense to me to group them up instead of doing individual repetitive posts on each. So be on the watch out for those. Hopefully I will put them up soon. See ya around!